Rita Wiese, beloved wife, mother, grandmother, great-grandmother, sister, aunt and friend to many passed away October 14, 2009 at the Avera McKennan Dougherty Hospice House, Sioux Falls, SD at the age of 84. Rita was born in Garryowen, South Dakota on August 27, 1925. She was preceded in death by her husband, Charles Burke and they spent 25 years of marriage and had four children. She then married James Wiese and they recently celebrated 29 years of marriage. She was blessed by two loving and caring men. 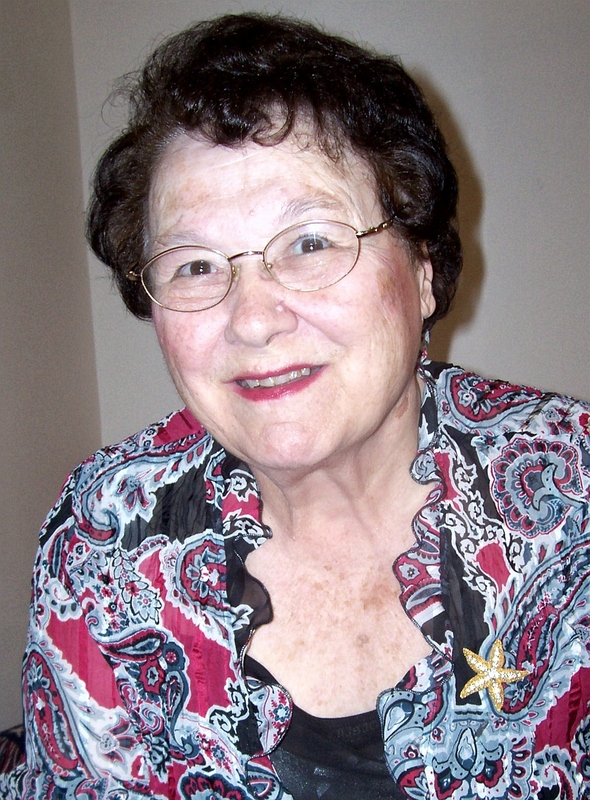 Rita was very patriotic and active in the Veterans of Foreign Wars Ladies Auxiliary. She joined the Auxiliary in 1970, became local Auxiliary President 1976 and choreographed Bicentennial Dancers. She became State President in 1985 and also represented the State of South Dakota as National Honor Guard. Her motto was, "Rita Wiese is a Leader Who Cares about You â€“ "Steppin' Ahead in Harmony for Patriotism." She has always cared about America, stood by its Veterans and respected the flag. Her past state activities included Color Guard, Patriotic Instruction Guard, Conductress, Chaplain, Jr. Vice President, and Senior Vice President. She was a volunteer for the VAVS, Meals-on-wheels, Royal C. Johnson Veterans Administration Hospital and Bethany Nursing Home. She previously belonged to Navy Mothers, Women of the Moose, Catholic Daughters of America and was currently a member of St. Michael Church. Rita and Jim were also previous long time members of Christ the King and St. Joseph's Cathedral. She previously worked the City Elections and loved to talk politics. Many know Rita as a professional cake decorator. Her albums show the many wedding and graduation cakes she's created over the years. Her motto was, "For Goodness Sakes try Rita's Cakes." Rita is survived her husband, Jim, one son and three daughters, Ronald Burke and wife Brenda, Danvers, Illinois, Charlene Myers, Sioux Falls, SD, Pam Strohfus, Garden Valley, Idaho, Kathy Monahan, Sioux Falls, SD and one sister Dolores Hirschman, Omaha, NE. She had 13 grandchildren and 33 great-grandchildren, and many nieces and nephews and friends. The family of Rita Wiese wish to give a thank you to the nurses and physicians at Avera McKennan Hospital and a special recognition to the Avera McKennan Dougherty Hospice House nurses and volunteers. They are truly amazing. Rita was preceded in death by parents Hudson and Esther Engle, and three brothers Nobby, Paul and Ronald Engle, grandson David Ernesti, and son-in-law Joseph Monahan. Visitation will be at Barnett-Lewis Funeral Home, 901 S Minnesota Ave, Sioux Falls, SD on Sunday, October 18 at 12 PM with a Rosary at 5 PM and a Scripture Vigil at 7 PM. Funeral Mass of Christian Burial will be 9 AM on Monday at St. Michael Church, 1600 S. Marion Road, Sioux Falls, SD with burial to follow at St. Michael Cemetery.